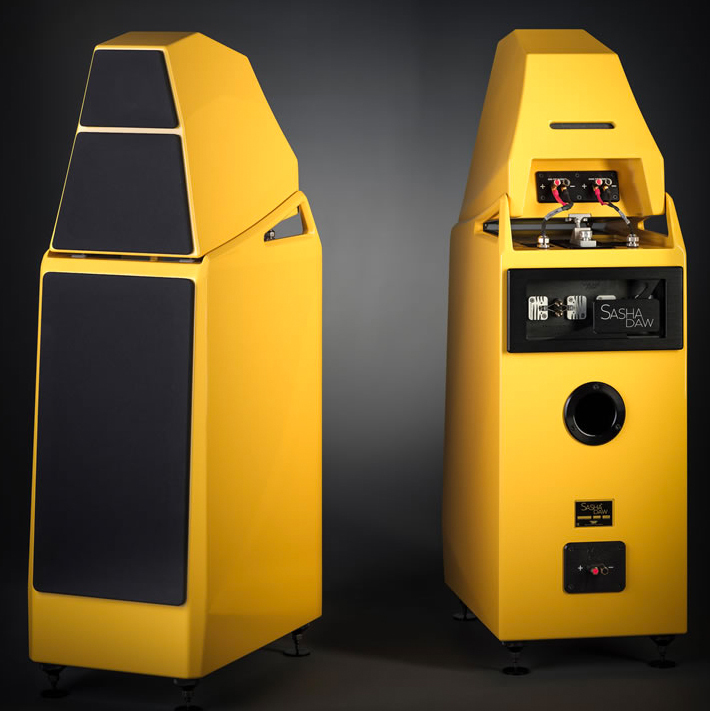 Started from a desire for truly accurate playback systems in the studio, Wilson Audio has been a defining benchmark in the world of high-end audio for more than forty years. 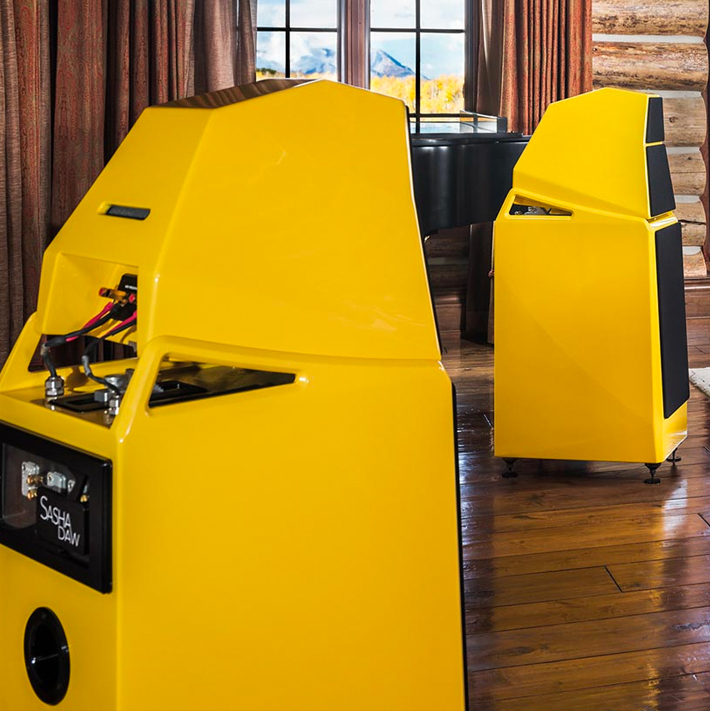 Wilson Audio speakers are handmade in Provo, Utah, where Daryl Wilson, son of founding father Dave Wilson, continues to design and refine the products to this day. His particular ear for sound and attention to detail has laid the foundation for a company focused on time-alignment, resonance control, and exceptionally high-tolerance manufacturing. The result? Greater dynamics, linearity, and musicality from the music you love. We have most every model of Wilson Audio speaker available for audition, from the new TuneTot bookshelf and compact Sabrina floorstander up to the new Alexx. 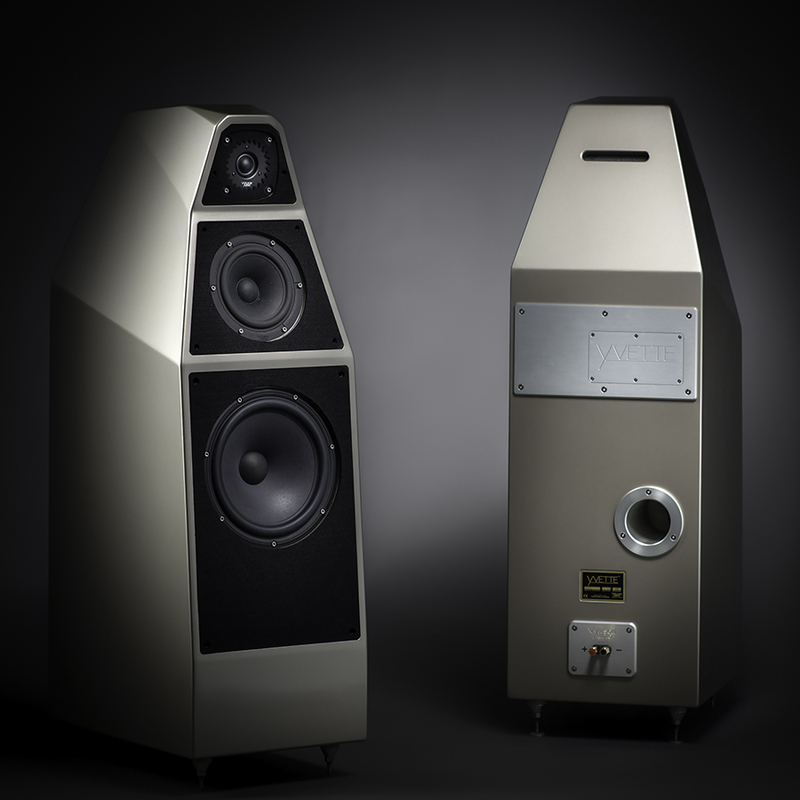 Call or email us to discuss the right Wilson speakers for you and to set up a demonstration. TuneTot is the latest product from the Wilson Special Applications Engineering™ team. 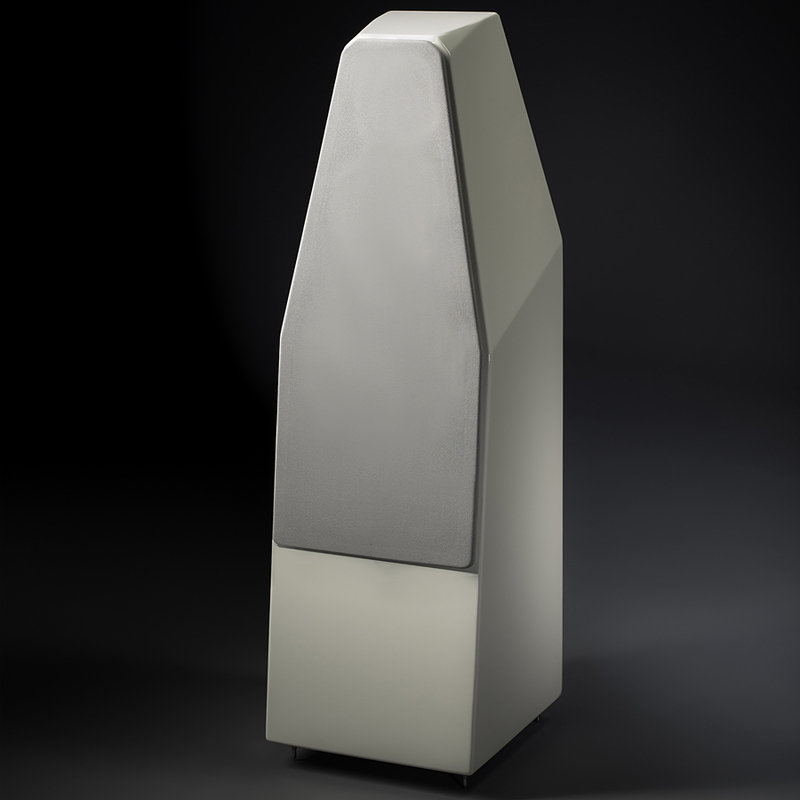 While its name pays homage to the first WSAE product, it is a modern technical tour de force designed to offer the timbral beauty, dynamic nuance, soundstage resolution, and transparency—all the hallmarks of Wilson loudspeakers design culture—but do so in environments which are hostile to all of those qualities. 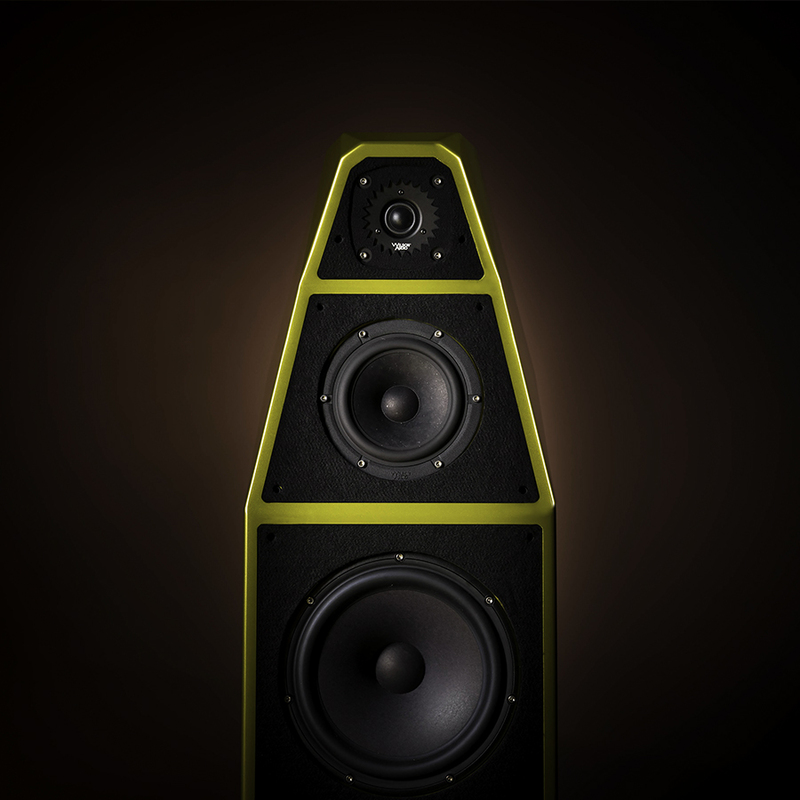 Meet the all-new Wilson Audio Sabrina! 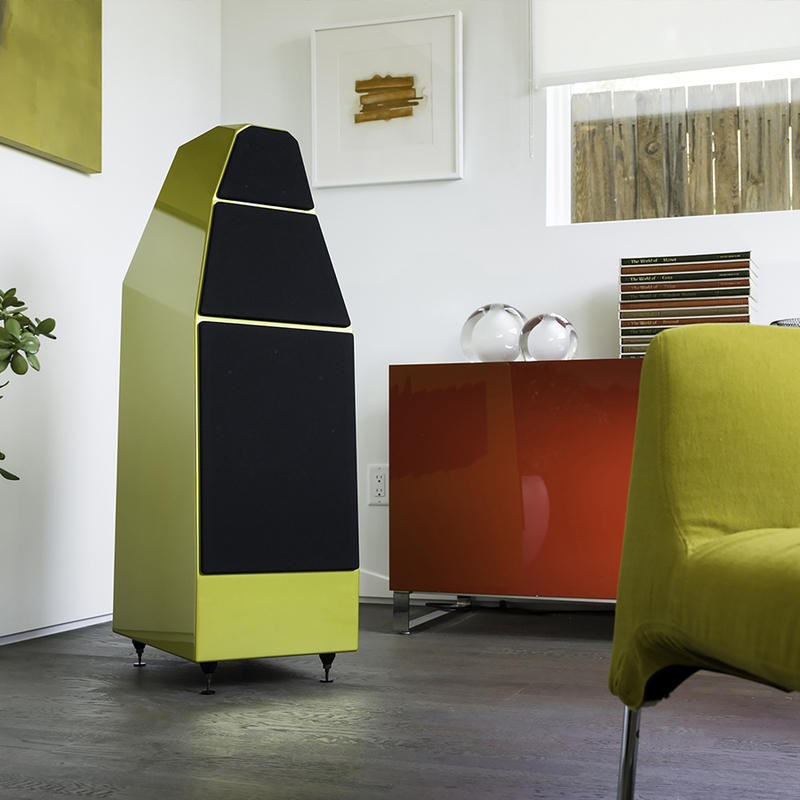 Sabrina is the most compact floorstanding speaker in the line-up, harkening back to the size and scale of the original 1980’s Wilson WATT/Puppy model. 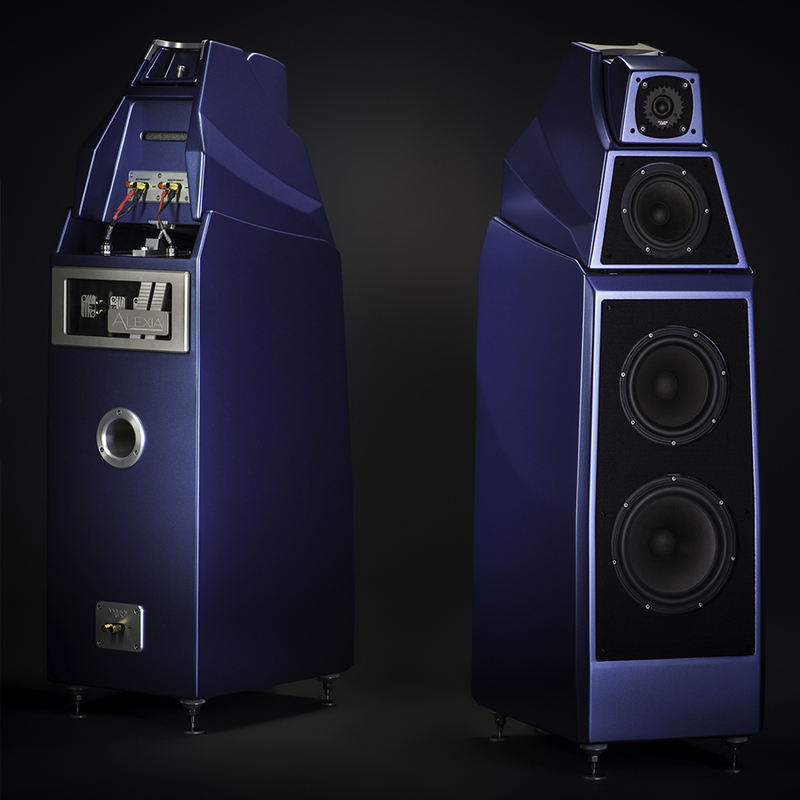 However that’s where the similarities end, as the Sabrina borrows technology and materials from the model XLF, the pinnacle of Wilson Audio’s 30 year quest to reproduce the sound of live music as realistically and life-like as possible. 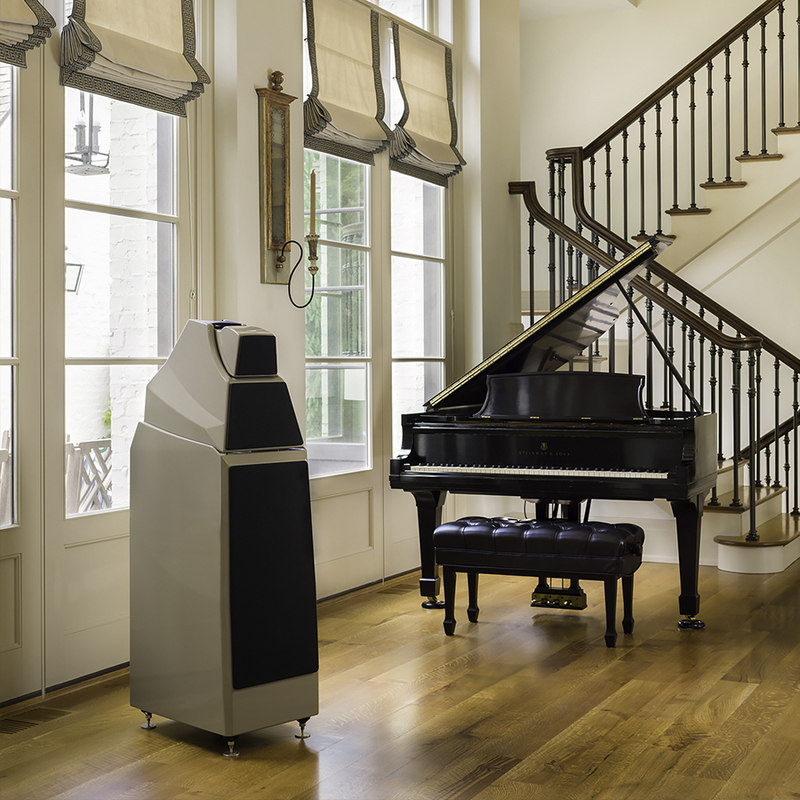 You can now enjoy the complete Wilson Audio musical experience with a compact, elegant speaker that is very much at home in most any environment. 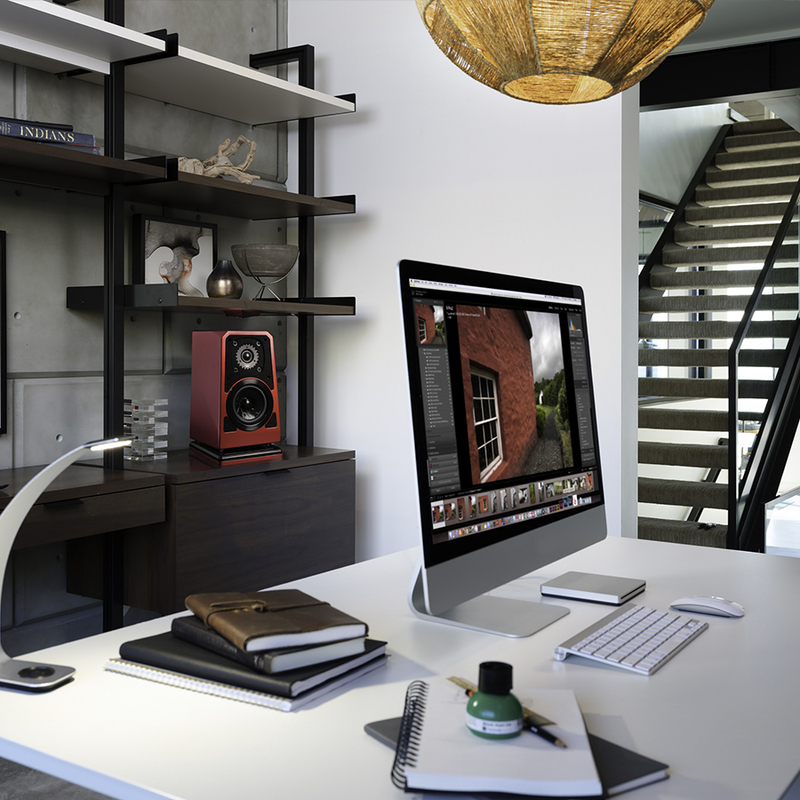 The Sabrina speakers make few demands on placement, and are happy with a wide range of ancillary components. 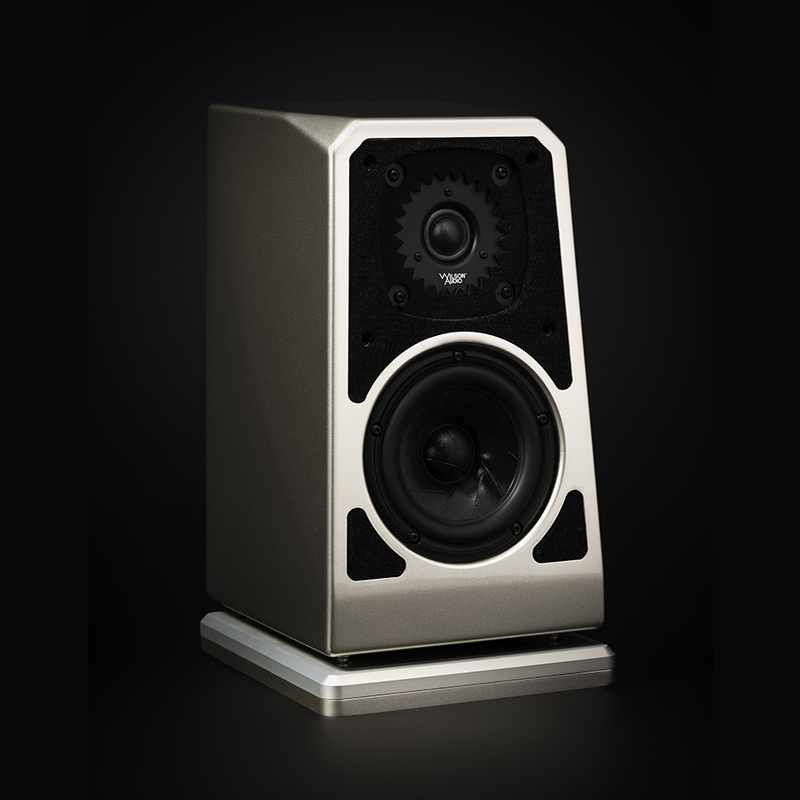 We’re very excited about the Sabrina, and are certain it will bring many clients into the Wilson Audio family. Stop by for an audition! The Sasha DAW is the largest up-grade in the history of the WATT/Puppy and Sasha plat-forms. 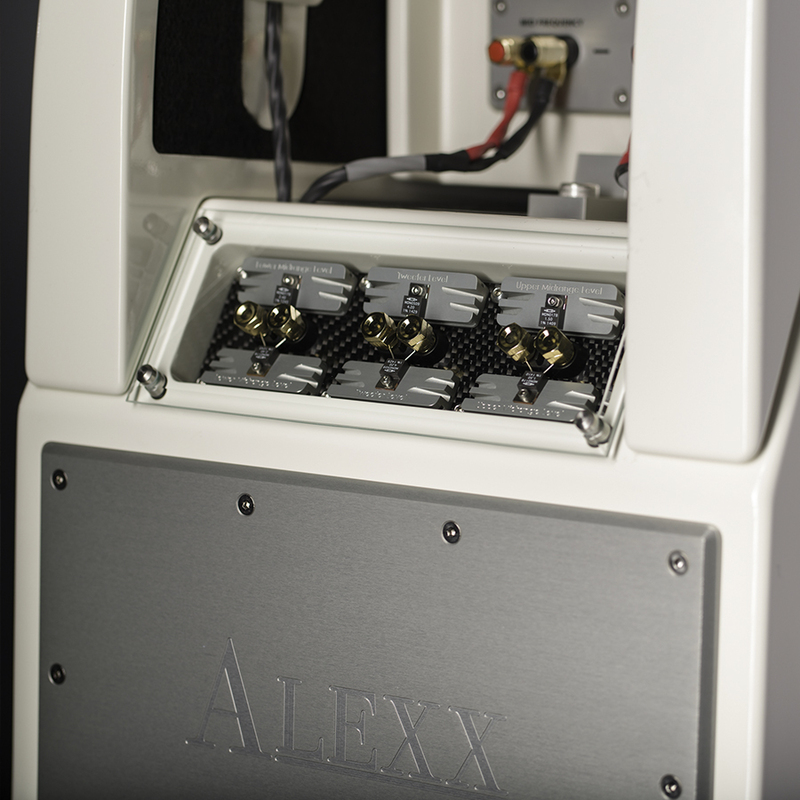 The team designed a new woofer for the Sasha based on the 8-inch driver found in the Alexia Series-2. 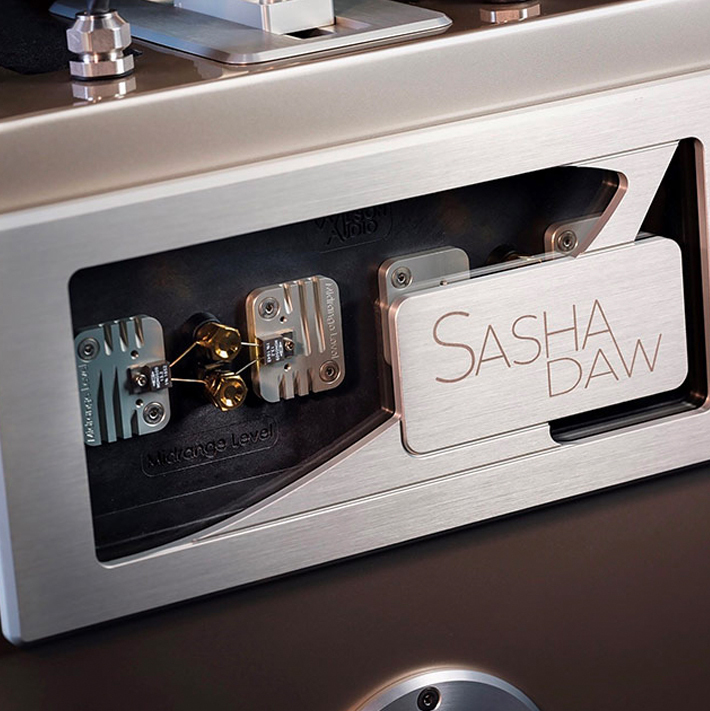 The new woofer was redesigned for the specific needs of the Sasha and the it represents the largest leap in bass performance since the platform’s inception. It has reset the bar in the areas of transient honesty and impact, linearity, and timbral resolution. To further augment bass performance, a new bass enclosure was redesigned from the ground up. Thicker X-material panels further reduce (the already vanishing low) panel resonances. 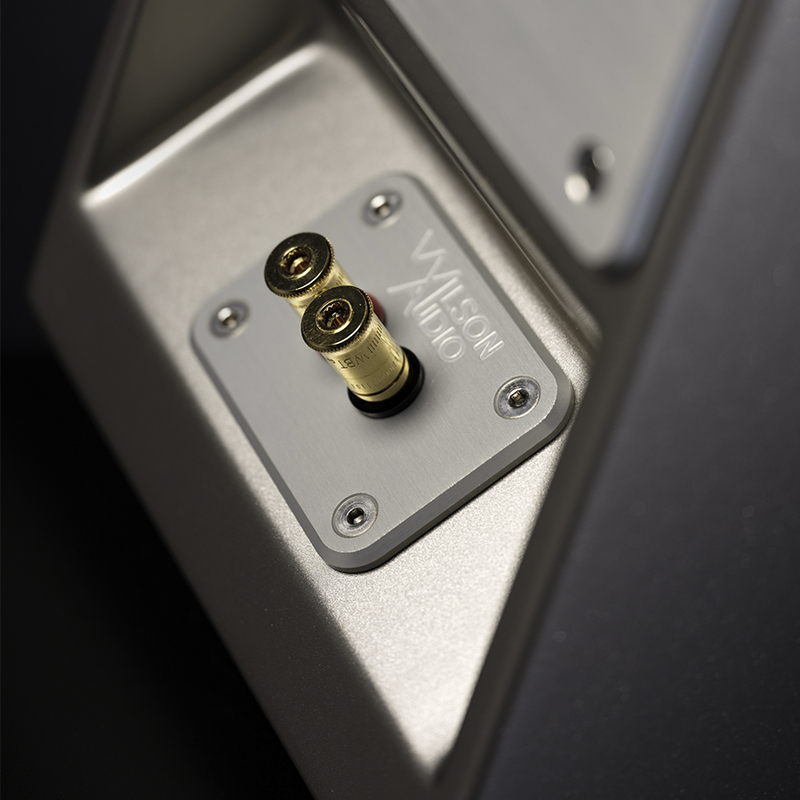 Enclosure volume was increased by 13.3%, which allows for greater bottom-octave authority and reduced distortion. 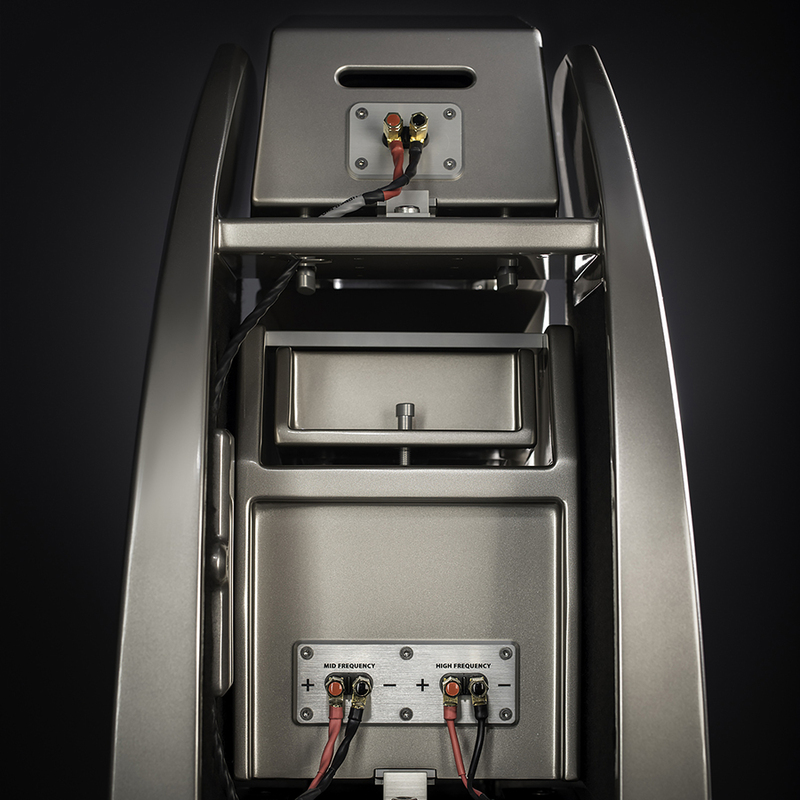 The blades on the top of the module, where its companion mid range/tweeter rests, have been strategically redesigned with openings, which reduces cavity pressure in the space between the upper and lower modules. Finally, a new, ultra-low-turbulence port reduces already low unwanted wind-born noise. 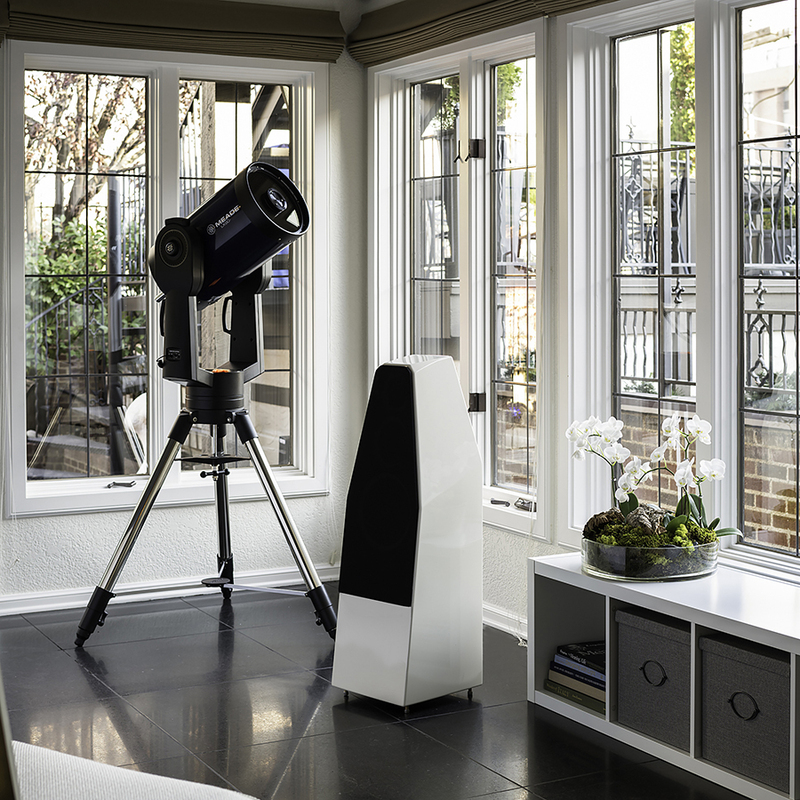 For the design of the upper module, thicker panels throughout the module reduce resonance. An all-new pattern is cut into the inside of the enclosure, which mitigate internal reflections. Enclosure volume was increased by 10.2% for increased dynamic range and efficiency. In the end, the new design is the highest resolution, lowest distortion, and most linear loudspeaker in the history of the WATT/Puppy platform. It is easier to place in a wider variety of rooms than its predecessors. Most importantly, the latest Sasha provides a remarkably direct conduit to the numinous beauty of music. 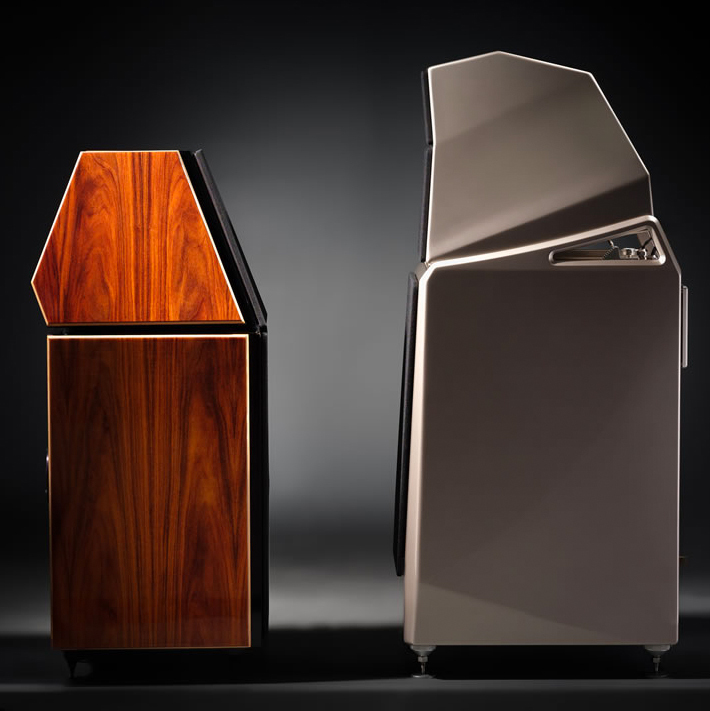 The Alexia Series 2 speaker system represents the merging of the time-domain accuracy of the flagship Alexandria XLF with the stylish form factor similar to that of Sasha. 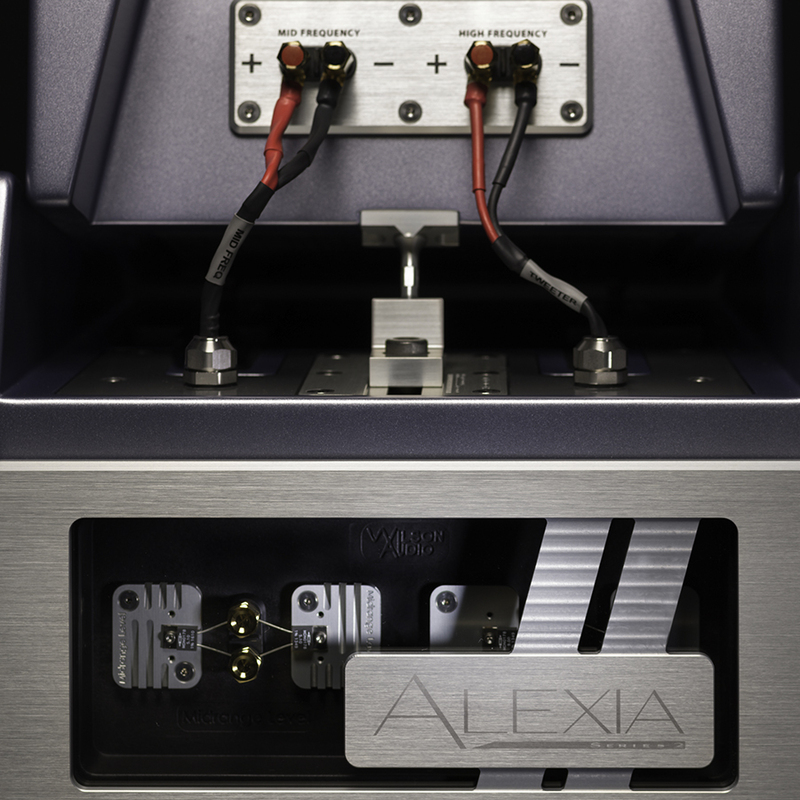 Completed after a year and a half of research and development, the Alexia boasts the compact size of Sasha with the sonic scale, musicality, coherence, and resolution to rival the Alexandria XLF. This is truly a speaker that must be heard to be believed. 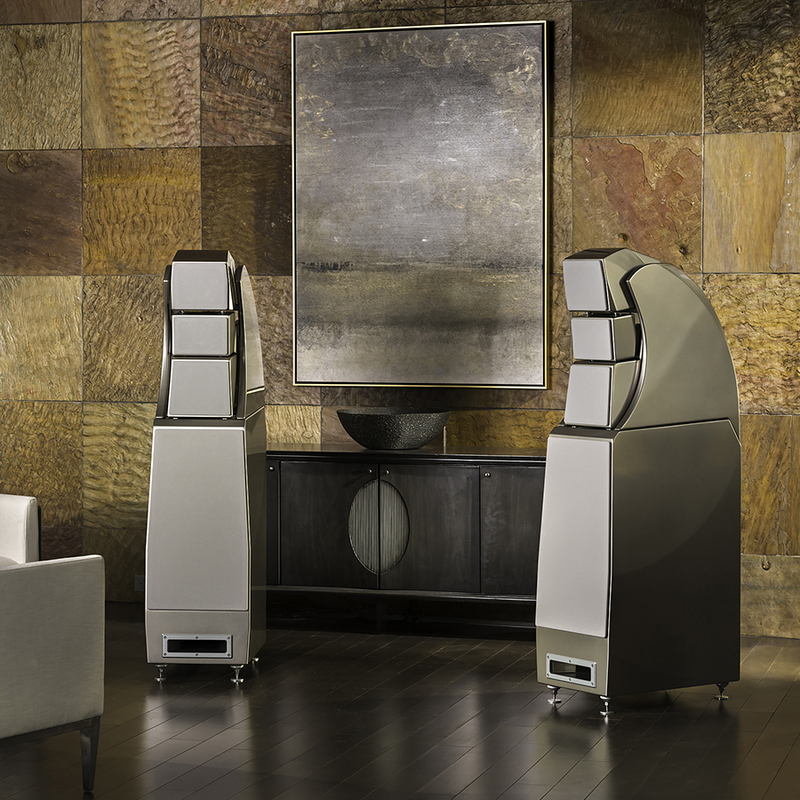 Wilson Alexias are the most popular model we display at AudioConcepts. 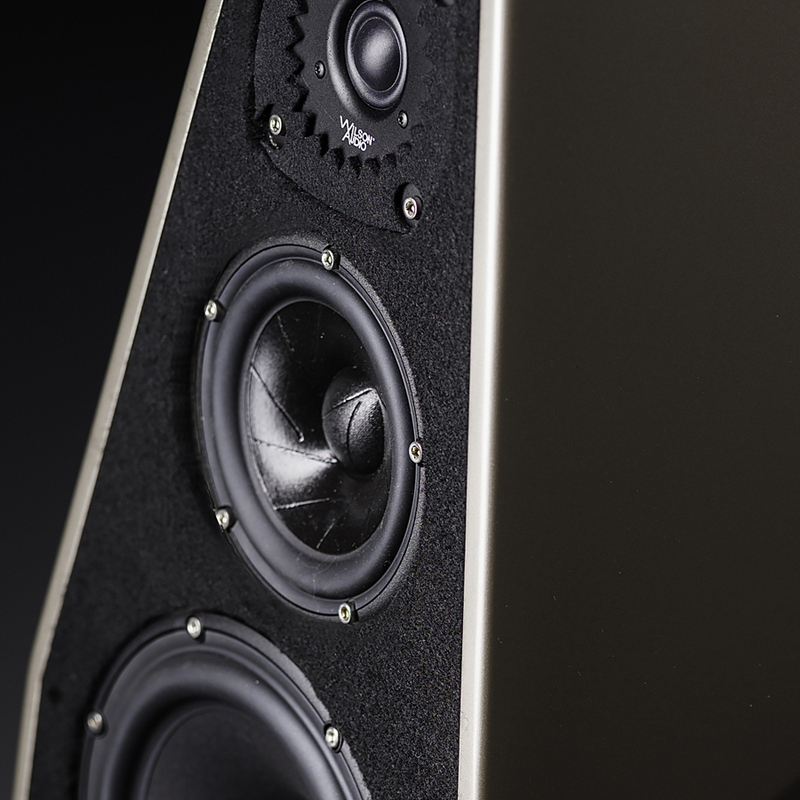 You can spend many multiples of the Alexia’s price on other speaker brands, but we doubt you’ll come close to the Alexia’s natural beauty, accuracy, and musicality. Come in to hear it for yourself.